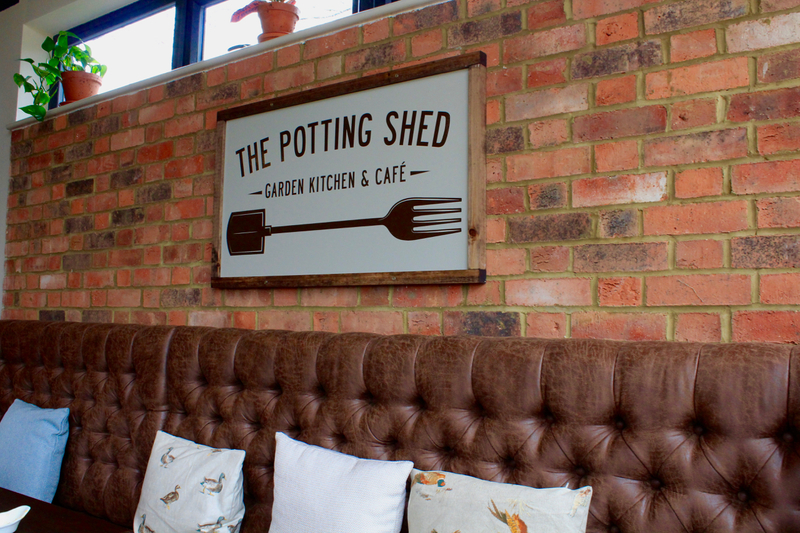 We’ve been truly spoilt recently in St Albans with lots of new openings and The Potting Shed Cafe is the latest addition to our local food scene. You’ll find it within Carpenter’s Garden Centre and Farm Shop offering breakfast, lunch and afternoon tea seven days a week. 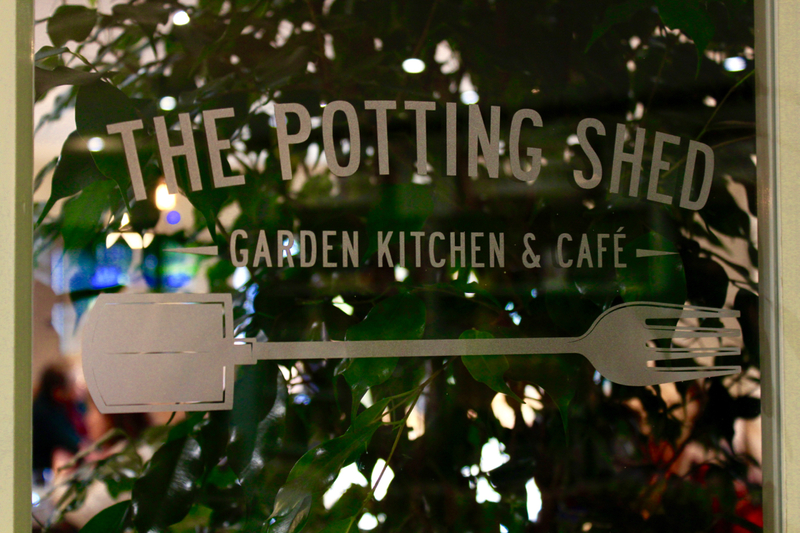 What most surprised me about The Potting Shed Cafe, is that it’s a hybrid between a restaurant and café. It has the warmth of a cafe full of families celebrating the Easter holidays with the elegance of a restaurant as a table of ladies raised their champagne flutes to toast a birthday. We were sat by the large bi-folding doors at the back of the cafe which look onto a patio and landscaped garden. I can’t wait for sunny days when you’ll be able to actually sit outside. We arrived for the lunch menu which had a range of sandwiches, soups and salads as well as some larger dishes. 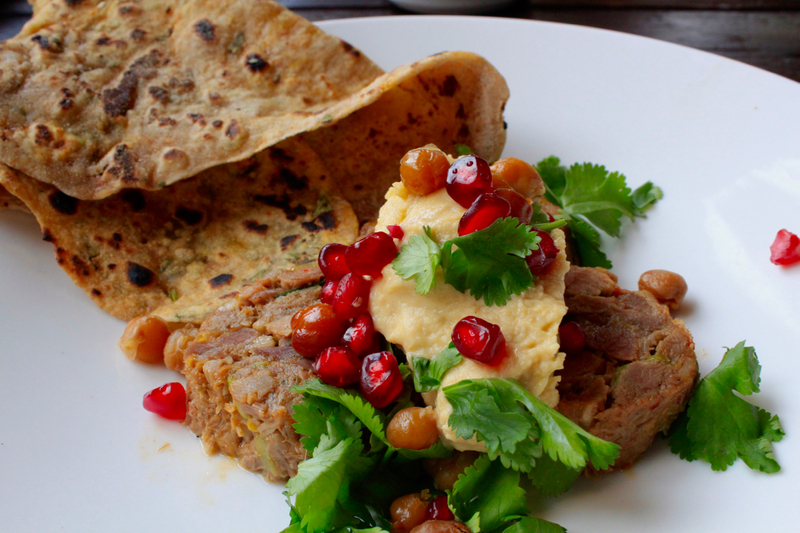 There was also a specials menu and I ended up picking the Spiced Lamb Shoulder with hummus, pomegranate seeds and homemade flat breads. Oh my goodness it tasted amazing and definitely surpassed my expectations. 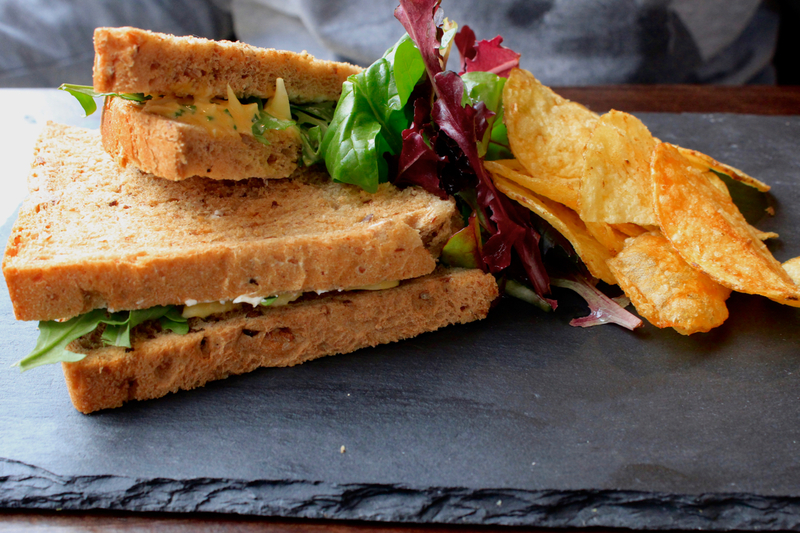 The husband opted for a Clover Farm egg mayonnaise sandwich with Corkers crisps which he thoroughly enjoyed, although he did have serious food envy after tasting my dish. There were two special desserts on the menu that have caught our eye from the beginning, which we’d so we decided to order them both and share. 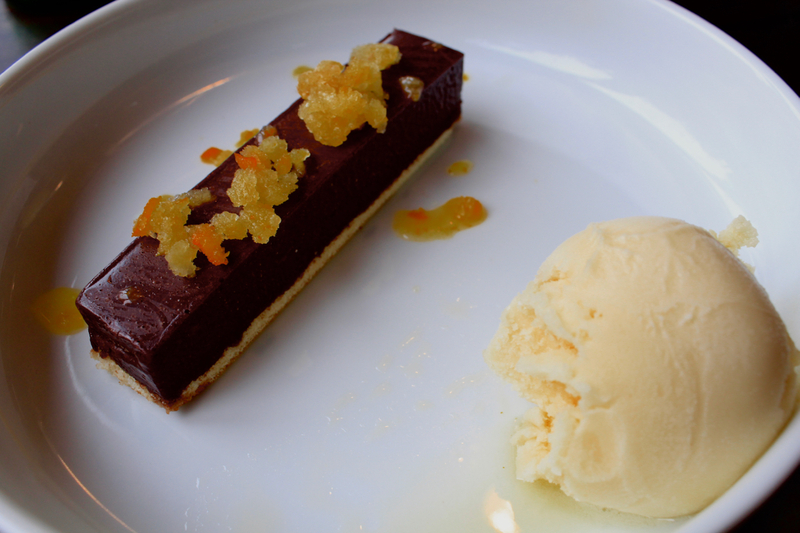 The first was my personal favourite – dark chocolate delice with orange sorbet. 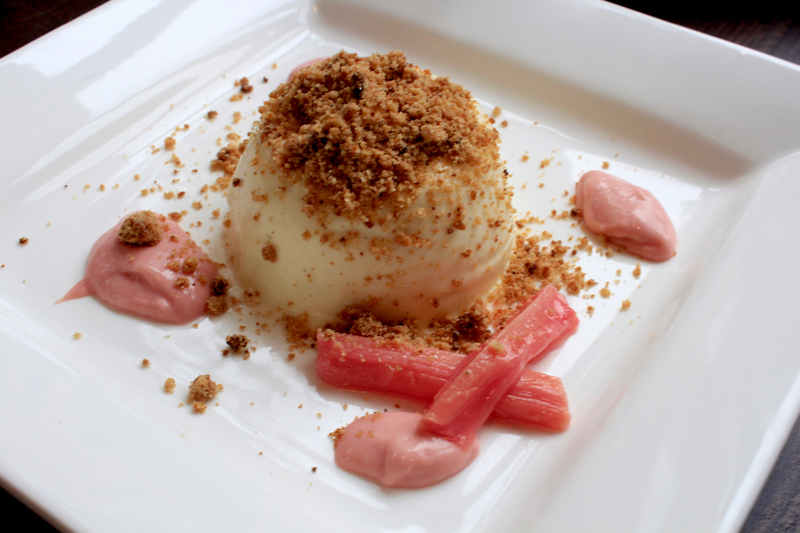 The second was English buttermilk pudding with poached rhubarb and ginger crumble. 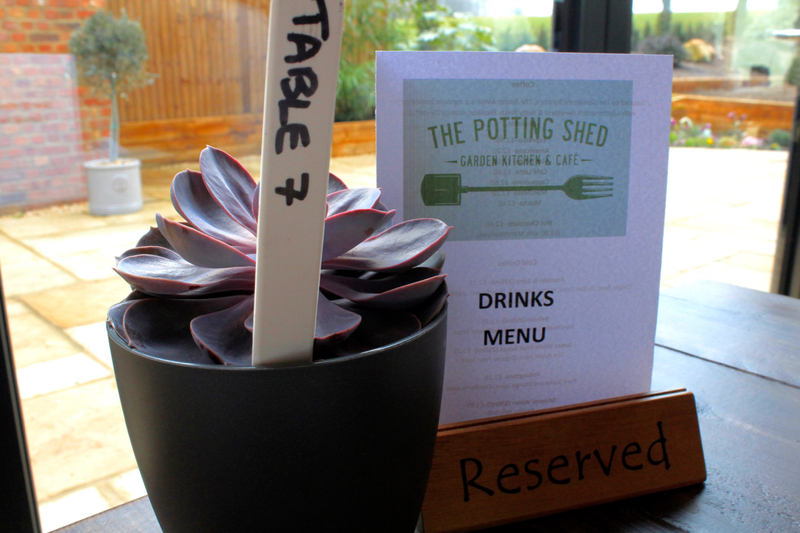 What is so great about The Potting Shed Cafe is that all the vegetables are grown on site, so it really is a field to fork experience. By the end of our meal the cafe was full to the brim with people queuing at the door so I’d definitely recommend booking before heading down. It’s amazing to see how popular the cafe is already, and with Heartwood Forest just a mile down the road I think it’s perfectly located for a post-walk lunch. 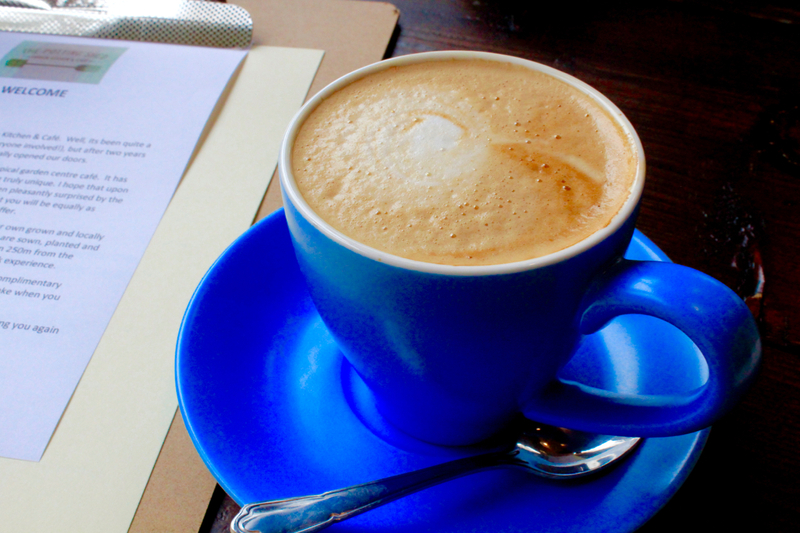 They also serve an afternoon tea from 2pm Monday to Saturday, so I’m hoping to pop along again sometime soon.